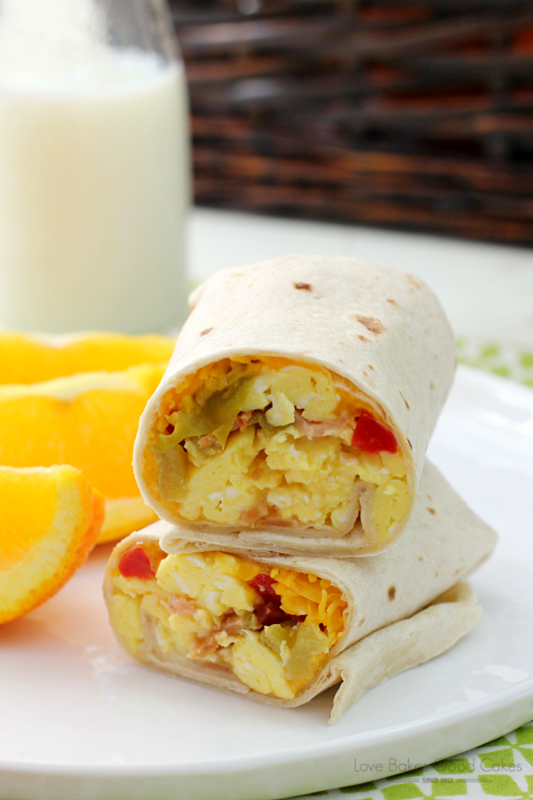 Make breakfast easy with these Bacon & Egg Breakfast Burritos! 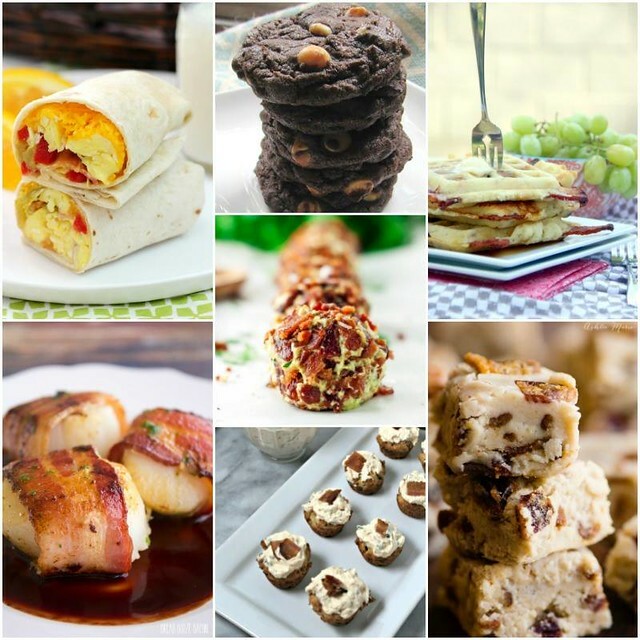 Can make ahead and freeze for fuss-free mornings! With back to school, our mornings are a bit hectic. To help make breakfast a bit easier, I like to have things like these Bacon & Egg Breakfast Burritos on hand! 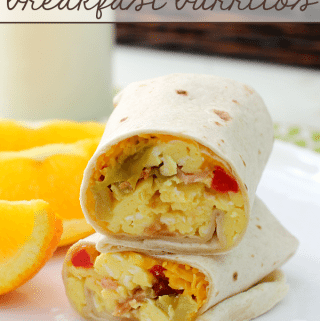 I can make them over the weekend and freeze them, then my kiddos can pull them out throughout the week when they want a hot breakfast. 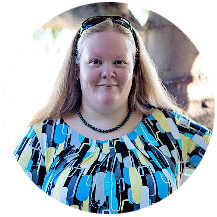 You can easily switch out the meat and use cooked ham or sausage – or you can even make them meatless by leaving out the meat altogether! 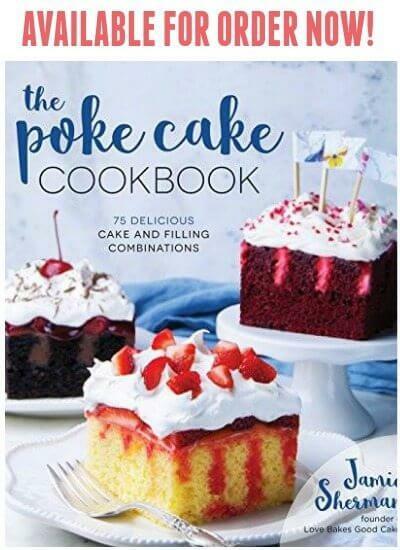 They are so easy to customize to your family’s tastes! 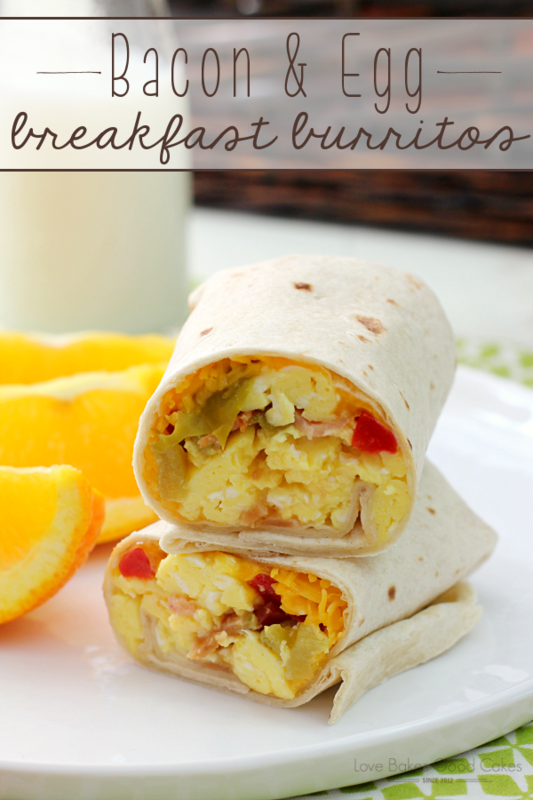 I hope your family enjoys these Bacon & Egg Breakfast Burritos as much as mine does! 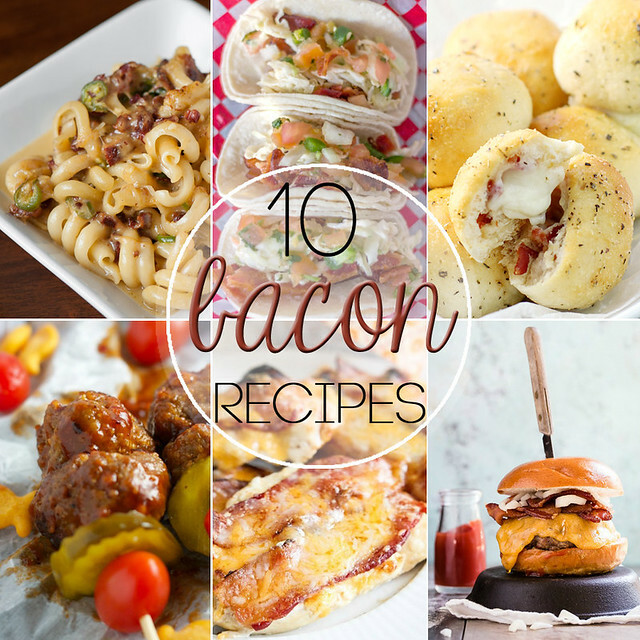 To celebrate Bacon Month, we’ve got a few giveaways going on – be sure to stop by and enter for a chance to win! 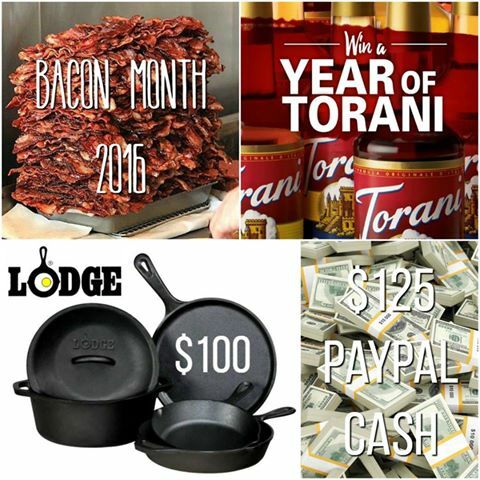 We’ve got a year supply of Torani, $100 gift card for Lodge Cast Iron, and $125 PayPal cash …. that’s 3 prizes with 3 winners!! Good luck, y’all!! Saute the green chilies and roasted red pepper over medium heat for 1-2 minutes or until fragrant. Stir in the eggs. Cook and scramble until the eggs are almost set. 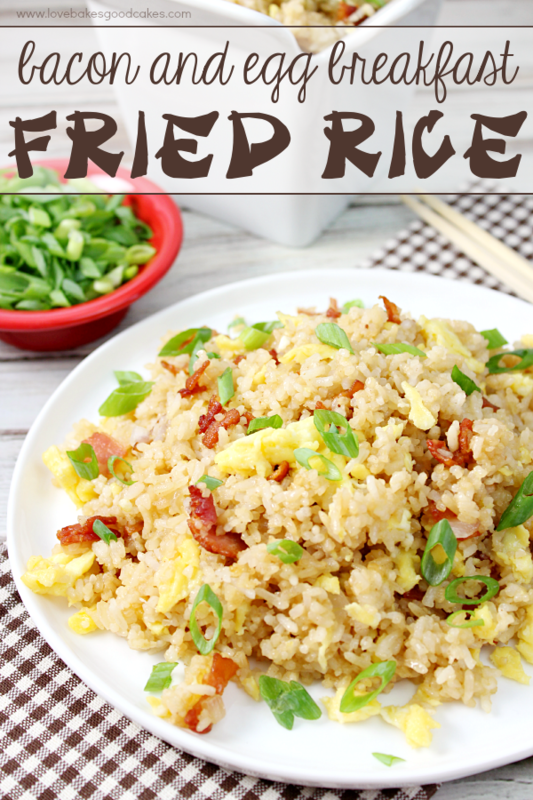 Stir in the bacon and continue to cook until eggs are done. 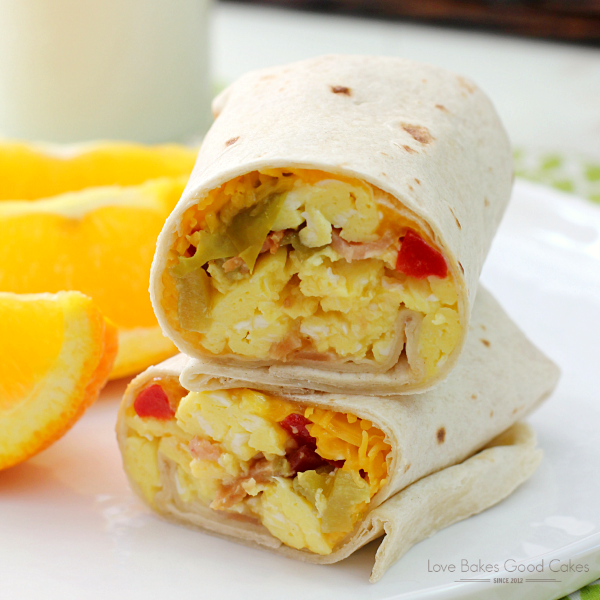 Divide the egg mixture between the tortillas. Divide the cheese over the top. Roll up tortillas. Serve with salsa, if desired. 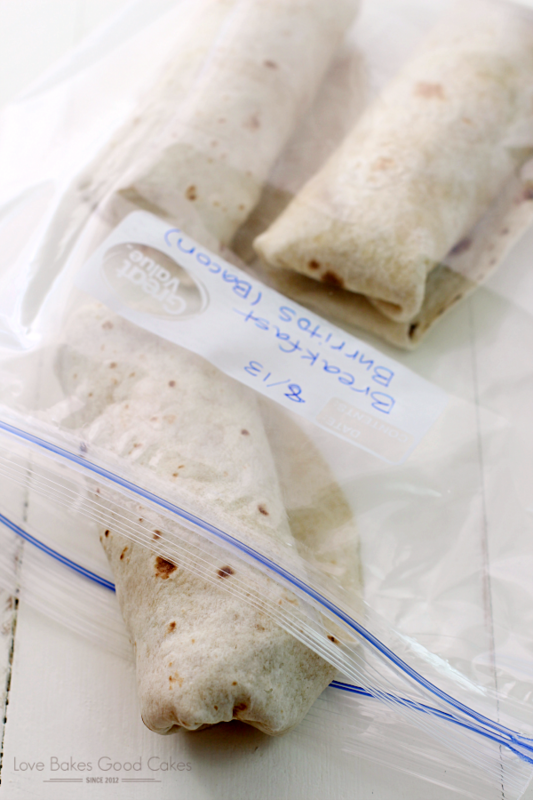 Place burritos in freezer zip-top bags. Freeze up to 3 months. To serve the frozen burritos, remove from bag and place burrito on a microwave-safe plate. Microwave for 60-90 seconds, or until warmed through.